Which weekend and which area to visit New England ? Abby/Carol covered the details quite well for your earlier set of dates. The NEK (Northeast Kingdom) of Vermont is made up of the three northeastern counties of the state. The Burke Mtn Hotel is right in the center and is highly recommended. If you get a room with a north view, you will be waking up to this grand vista every morning. Many mornings the may be fog in the valley below and you will be able to look out from the hotel at the colorful hiiltops peaking out of the fog. I highly recommend taking an early morning drive up the toll road ($5) to the summit of Burke Mtn. It is a short walk from the parking area to the fire tower at the summit where you will have great views of northern Vermont and the White Mtns of New Hampshire. There are some scenic drives that cover a lot of the highlights of the area found in one of the sticky threads above. Be sure to check out the areas around the small churches in Burke Hollow, West Burke, and Sutton for some good photo ops as well. So much to do......so little time, as the saying goes. Ok let's break this down one step at a time. So your flight into Boston arrives a bit earlier. That's a good thing. As long as you are not too tired to drive for three hours, you could head straight up to the White Mountains of NH and get a room somewhere up there for Thursday Sept 28th. Friday Sept 29th: Spend the day exploring the White Mountains. Go up to the NEK late day and check into one of the places I recommended. The Comfort Inn that CT recommended is really nice, but I also think it's pricey. That's why I didn't recommend it. But if you can afford it, it is a nice place. Saturday Sept. 30th........One of our members (From the NEK) spent a great deal of time a few years ago mapping out a scenic driving route that I think you should follow. http://www.scenesofvermont.com/phpbb2/viewtopic.php?f=1&t=3532&start=15 Titled "Scenic Driving Route Through NEK Central. Follow this route. Many people have followed it and have really enjoyed it. It's a full day and gives you lots to see. Sunday October 1st: Drive through Hazen's Notch from Lowell to Montgomery. Drive up Hill West Rd in Montgomery for some pretty spectacular views. Go to the Creamery Covered Bridge located on Creamery Bridge Road. Scramble down to the bottom of the bridge to see a waterfall flowing under the bridge. (It's not too difficult but use your best judgement with your two year old) Visit Jay Peak ski area and ride the gondola to the top for amazing views. You have a choice to either stay at your lodging in the NEK and if you do you should go through the Groton State Forest which has lots of places to stop and photograph, visit the village of Peacham, go to a beautiful farm called Hillside Acres Farm in Barnet (beautiful to photograph from the road but you can't physically visit the farm) and explore the backroads n the Peacham/Groton area. Or.........................you could head to Stowe and explore the Stowe area (others can chime in on where to go in Stowe) and put up at a different hotel in the Stowe area that evening. Or.................you can head to the killington area and MMVT can recommend some pretty incredible places for you to see and photograph in that area. She could also recommend lodging for you as well. Killington area would have great color at that time due to the higher elevation. Tuesday Oct 3rd......depends on which location you decide to stay at and then meander back to Boston from there. If you decide to stay in the NEK the entire time there's other places you can visit that I can recommend but if you want to explore a different area of the state that will have good color, then decide where you want to go and we can help you from there. It's your decision but you need to decide NOW. One more recommendation.........and I'm NOT recommending this because I'm one of the authors but I am honestly recommending it because I think it's a valuable thing to have and it will help you immensly........THIS WEEK the Ebook that I co-authored with Andy Richards is going to be available to purchase through Amazon.com, Kobo, Barnes and Noble and all of the other popular sellers. I highly recommend you purchase this Ebook. It contains specific locations, directions on how to get there, where to park, best time of day to shoot, and most locations contain gps coordinates. There are sample photos that you can see from each location. Book is titled "Photographing Vermont's all Foliage" Where To Find The Iconic Shots 2nd edition. Andy will post as soon as the book is available to purchase here on the forum as soon as it's approved from the publisher. Should be any day now. Thank you sooooooo much. You are amazing and I totally trust you for areas you have choosen here. I feel, if I can split my places, it would give us more opportuity of verity. So may be, I can see killington area in later part of trip, it would be nice. 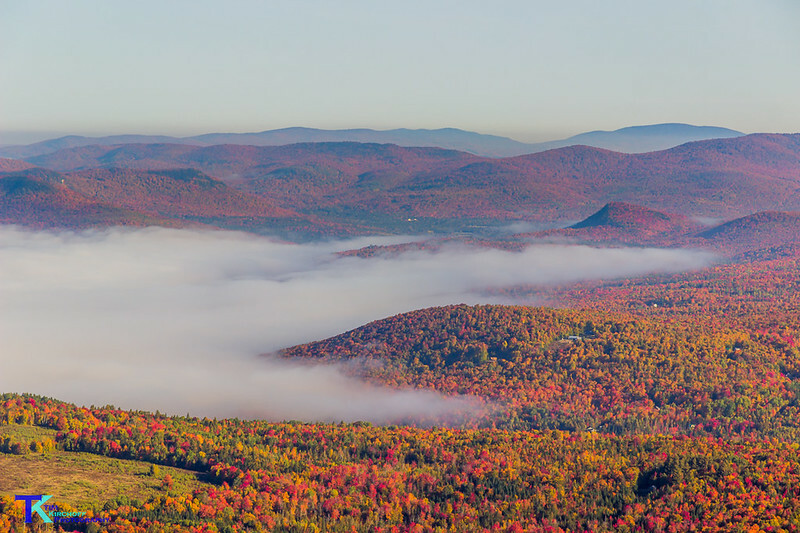 Will it be ok to spend first half of 2nd October in one of your recommended area (I am yet to decide, which one, all looks beautiful) and slowly head to killington, while seeing some places ? Sunset is at 6:30 PM. Next first half day is also ok for me to spend there, because my flight time from Boston is 7:20 PM. Yes, you could do Groton State Forest. There are several places in the Ebook that you could see here, but they are mostly landscapes with ponds. You could also do the Peacham/Barnet area which gives you more churches and barns to include in your photos. These places are also in the book. From Groton, I have mapped out a route for you to take to Killington. I have you stopping at Seyon Lodge State Park. Noyes Pond is there and it's spectacular. From there I have you going to Strafford to photograph the Strafford Meeting house. Again, these are both also in the book. From there I have you going to Killington. MMVT can chime in and help you with the rest of your time in Killington and going back to Boston. The book will be available any time now. It will absolutely be out well ahead of time before your trip. OK Sparks.... so, from Groton Forest area there are a number of ways to get to Killington area. I will share a route that is part highway/part smaller roads. I tried to highlight key words that you can look up to learn more about some of these places. See what you think about these routes - I can share more ideas if this doesn't appeal to you. Take 89 South to Bethel / route 107. There is a great little country store in Bethel - stop in and have a bite to eat or pick up a drink. Drive NORTH on Route 100 - in Rochester, stop at the Cafe if you're hungry . Continue to drive north to Route 125 and turn LEFT (west). Route 125 is one of the "GAP ROADS" and takes you up and over the green mountains. It's very scenic and a nice drive with lovely views. Stop at "TEXAS FALLS" if you're interested and then continue on Route 125 across the mountain. When you get to Route 7, drive SOUTH to Route 4 and take Route 4 EAST to the Killington area. As an alternate (and longer route), you could drive route 7 south, pick up the other GAP ROAD / Route 73 and drive BACK over the mountain to Route 100, then route 100 south to Killington. Kent Pond and Colton Pond - both just north of Killington and off of route 100 - Kent Pond is a favorite for sunsets as the setting sun lights up the mountains on the far side of the pond. route 4 EAST to 100 A, take 100A south. If interested, stop at the Calvin Coolidge homestead. take route 100A to route 100 - go north back up to route 4. (this is a relatively short loop ride if you don't have a lot of time). For your return trip to Boston, I would choose route 4 EAST - through Bridgewater, Woodstock, Quechee, etc. Many people love to stop/shop in Woodstock. From Route 4, you can pick up 89 South and then 93 down to Boston. Just one last price of information for lodging. I still have coice to cancel and re-book it. We are thinking of renting vacation rental and few places are showing same prices as hotels. Cheapest one (and looking nice) is Grammy's house in east Hardwick, VT. As per your suggested plan, will it be convenient location ? Anybody aware of that area of this rental home ? If not, other location (with around $200 more) are Glover, Guildhall, Westmore, Island Pond, Sutton. Do you recommend any of these location ? (I was checking them on airbnb and vrbo). Sparks - we rent a house every year we come to VT and it has worked out very well. We have also stayed in various hotels/motels for shorter trips. I don't know anything about the rental property you are asking about but all of my experiences have been positive. Good luck in making your decision! Hi Sparks. East Hardwick is a little far from the route that I recommended (NEK's driving route) but it certainly is do-able if that's where you want to stay. I could map you out a route to take from that house if you want. Otherwise out of the other places you mentioned, Sutton, Glover, or Westmore would be pretty good. Topic - Which weekend and which area to visit New England ?